The Union Cabinet, chaired by the Prime Minister Narendra Modi, has given its approval for India to accede to the Ashgabat Agreement. Ashgabat Agreement is an international transport and transit corridor facilitating transportation of goods between Central Asia and the Persian Gulf. The Ashgabat Agreement has Oman, Iran, Turkmenistan and Uzbekistan as founding members. Kazakhstan has also joined this arrangement subsequently. India’s intention to accede to the Ashgabat Agreement would now be conveyed to the Depository State (Turkmenistan). India would become party to the Agreement upon consent of the founding members. Accession to the Agreement would enable India to utilise this existing transport and transit corridor to facilitate trade and commercial interaction with the Eurasian region. Further, this would synchronise with our efforts to implement the International North South Transport Corridor (INSTC) for enhanced connectivity. India’s intention to accede to the Ashgabat Agreement would now be conveyed to the Depository State (Turkmenistan). India would become party to the Agreement upon consent of the founding members. The Ashgabat Agreement, which aims to develop a shortest trade route between Central Asian countries and Iranian and Omani ports, was initially signed among Uzbekistan, Turkmenistan, Iran, Oman and Qatar back in April 2011 and was given additional support in 2014 when a Memorandum of Understanding was signed. Whilst Oman called for early completion of basic technical requirements so that the corridor can be operational by 2015, Qatar withdrew from the agreement in 2013. However, Kazakhstan promised to join instead, which will increase the project’s significance and extend it further into Central Asia. The Iran-Turkmenistan-Kazakhstan (ITK) railway line will be the major route according to the Ashgabat Agreement, which became operational in December 2014 and was also included as part of India-funded North-South international transport corridor (NSITC). 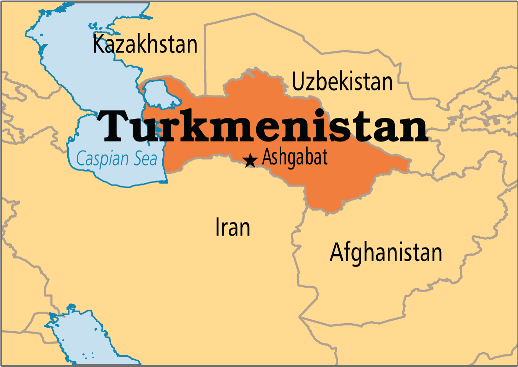 Turkmenistan is attempting to consolidate its position as an important regional transit and transport hub, and has leveraged its geographical location though other rail projects as well including Turkmenistan-Afghanistan-Tajikistan (TAT) rail line from 2013, Afghanistan-Turkmenistan-Azerbaijan-Georgia-Turkey transportation corridor in 2014, Iran-Turkmenistan-Kazakhstan railroad and TRACECA (Transport Corridor Europe-Caucasus-Asia) comprising the EU and 14 Eastern European, South Caucasus and Central Asian states. As the Taliban insurgency puts Afghanistan’s ambition to be an Asian transportation hub in question, Turkmenistan is seizing the opportunity by continuing to make these deals. This strategy also works well with India’s “Connect Central Asia” initiative.